From HIB comes an exclusive range of bathroom cabinets manufactured for the more discerning buyer. This range is designed for use in both modern and traditional bathrooms, and provides useful storage space and elegant styling for your bathroom, all available from Newport Bathroom Centre so please telephone us on 01633 262629 for our latest brochures, prices and offers. 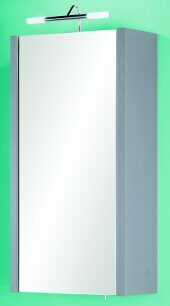 This spacious central mirrored HIB Torino bathroom cabinet features four curved glass side shelves, the ideal place to display frequently used toiletries. Illuminated by inset halogen lights and incorporating an internal shaving socket. The perfect cabinet to provide maximum storage capacity for bathrooms with limited wall space. Featuring a full length mirrored door and five internal shelves, the HIB Danya bathroom cabinet ensures that even the smallest of bathrooms are catered for. Convenient reversible door. A modern generously sized family cabinet with 60/40 split mirrored doors. The HIB Porto bathroom cabinet features two adjustable internal shelves and halogen lights. 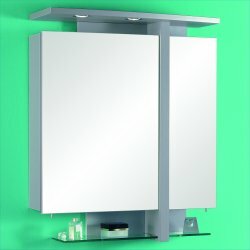 The HIB Tesero bathroom cabinet is a very distinctive, contempory styled bathroom cabinet. 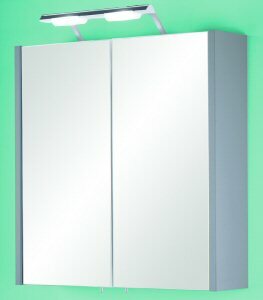 Complemented by inset halogen lights, two mirrored doors in differing sizes and an internal shaver socket. Four internal glass shelves and two external display shelves allow ample storage. A practical, yet spacious cabinet with two internal glass shelves, shaver socket and modern overhead halogen light. The HIB Pescara bathroom cabinet is perfectly suited for compact bathroom and cloakroom settings. 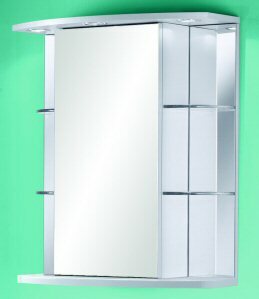 Ideal for maximum storage on limited wall space, this modern European styled cabinet complements any bathroom setting. 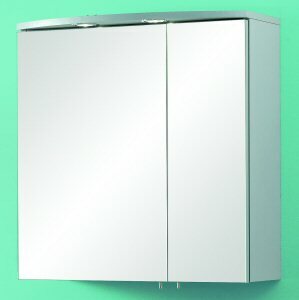 The HIB Bari bathroom cabinet has two internal glass shelves, shaver socket and overhead halogen light are included. The shaver socket is also suitable for electric toothbrushes.